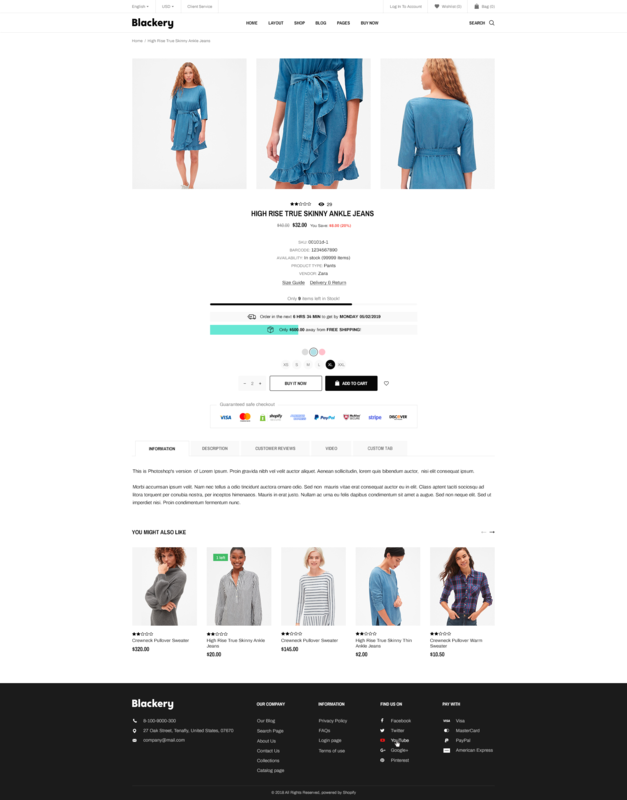 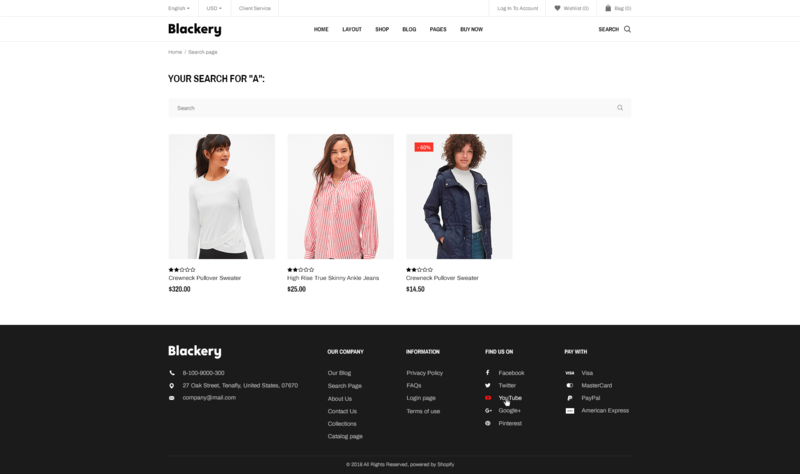 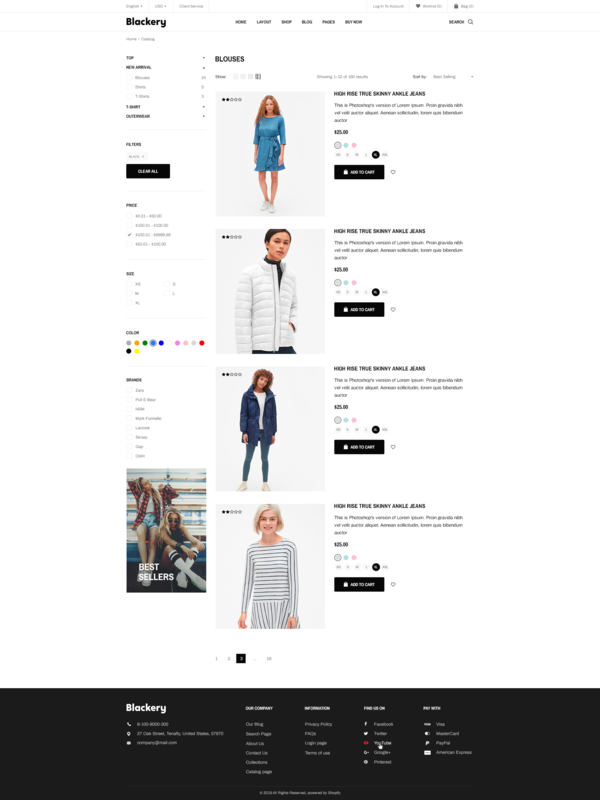 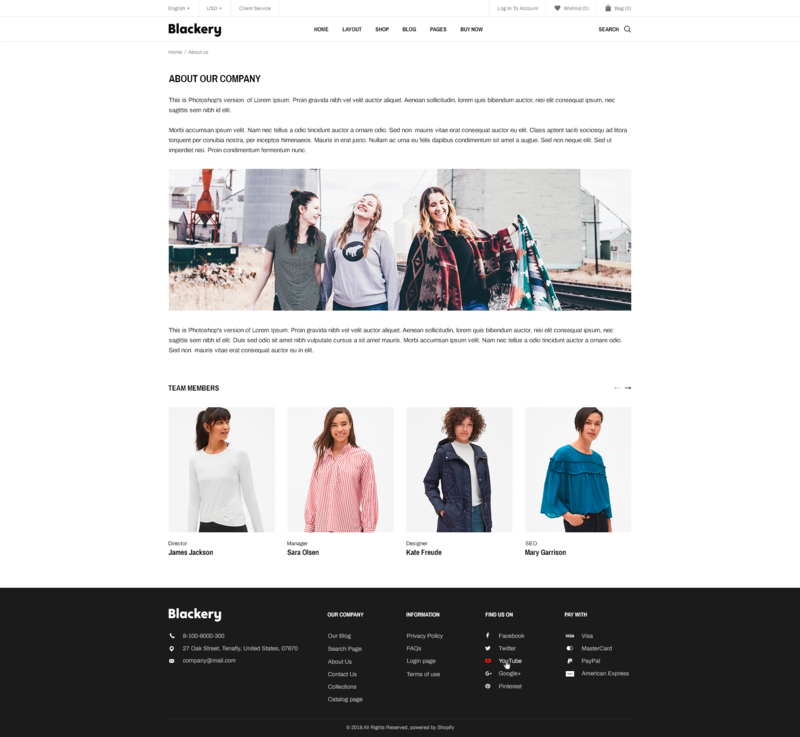 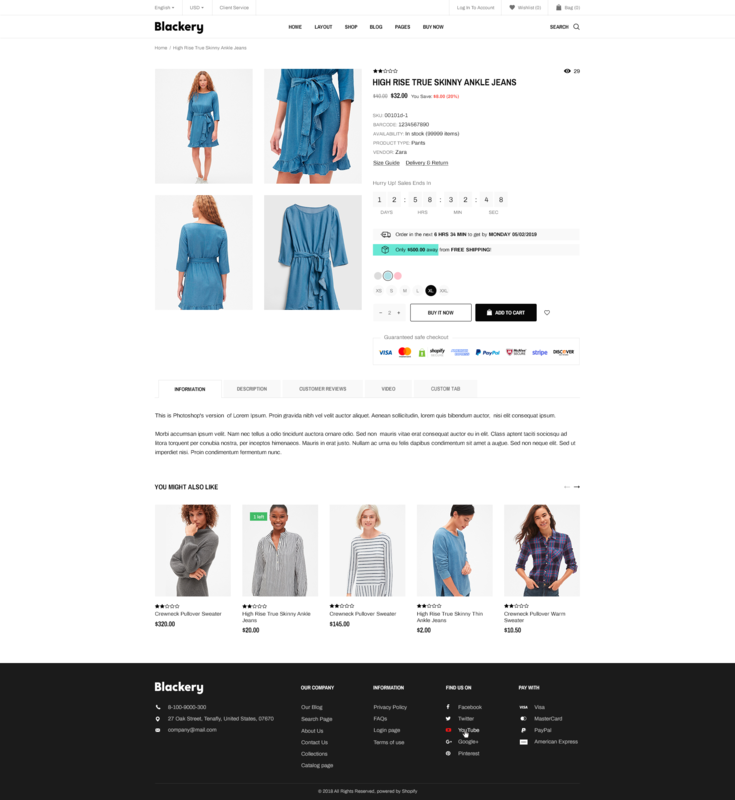 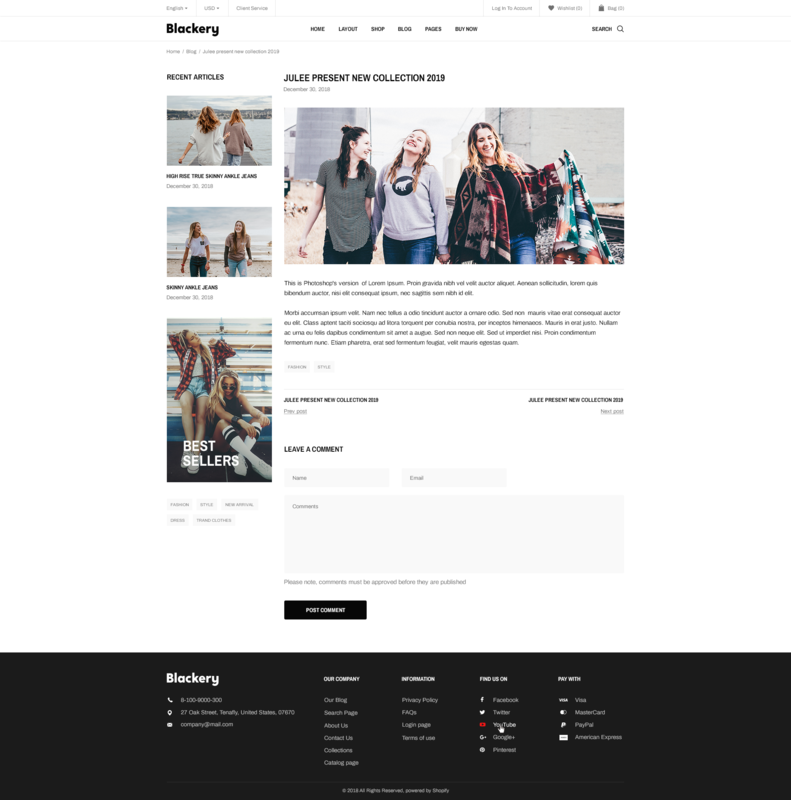 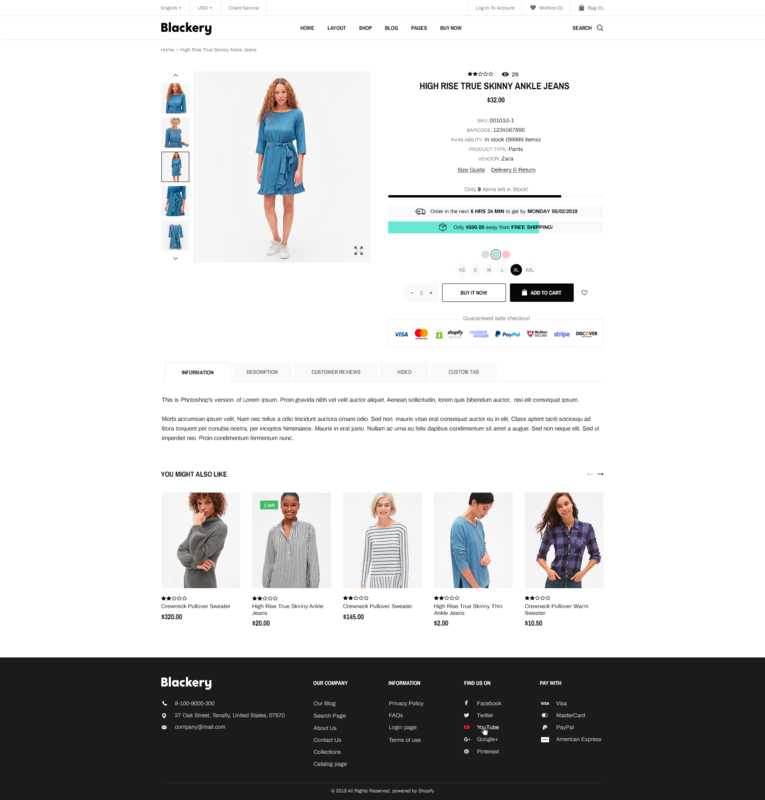 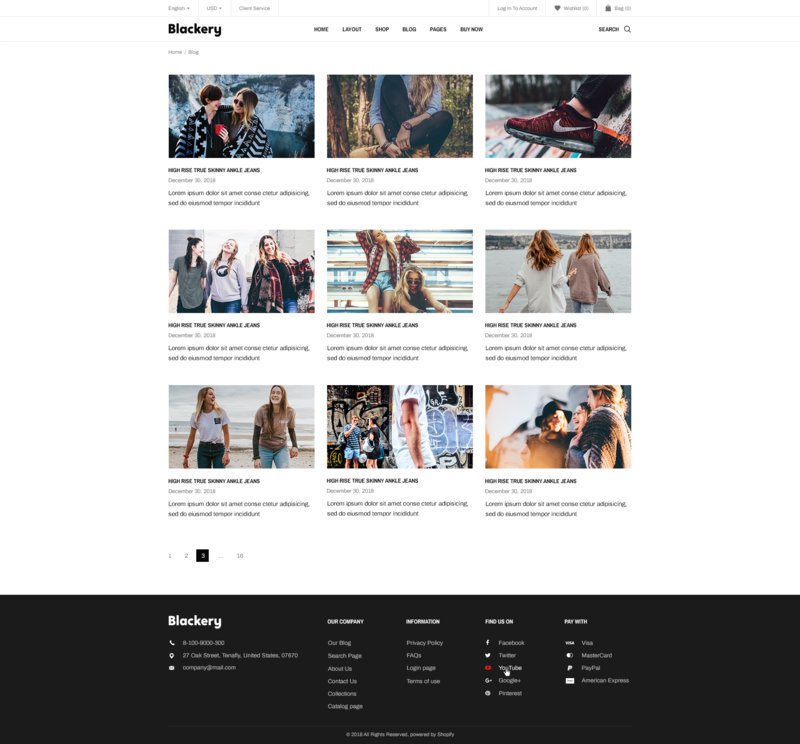 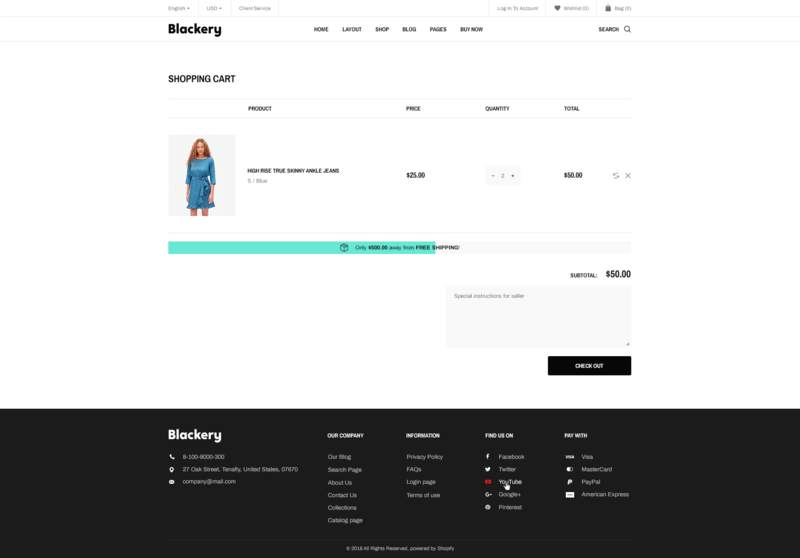 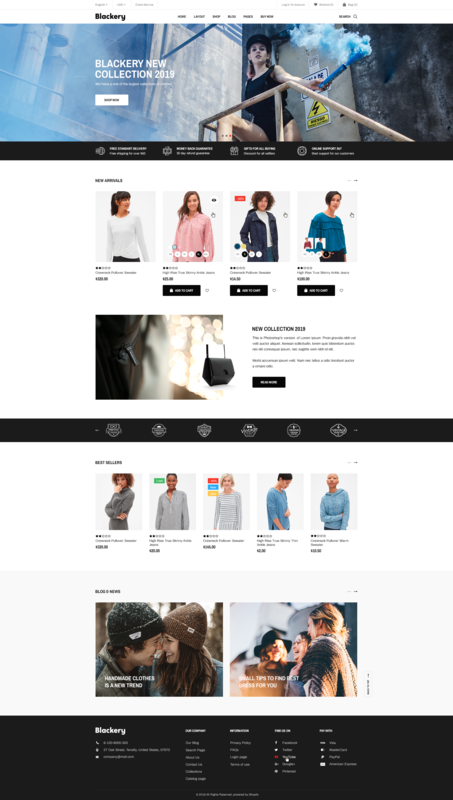 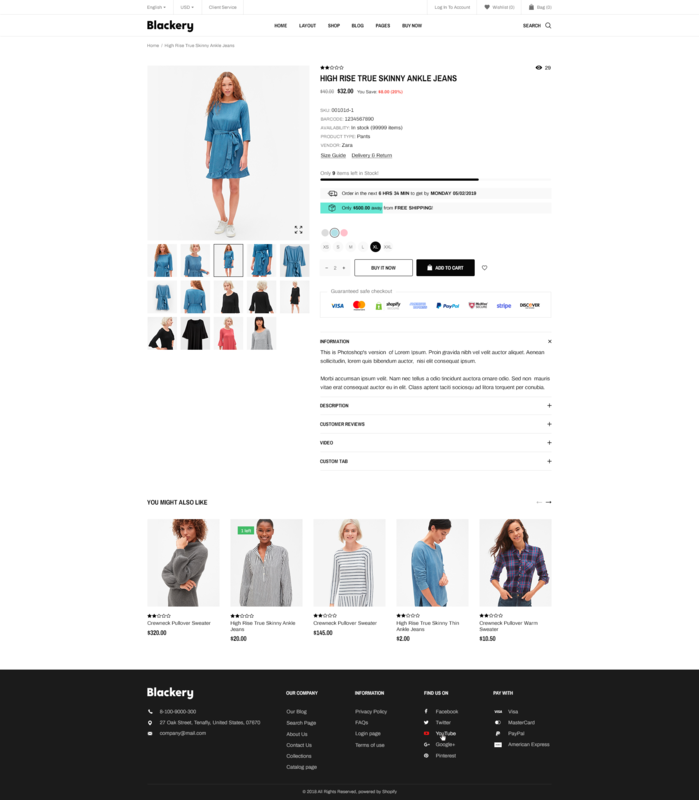 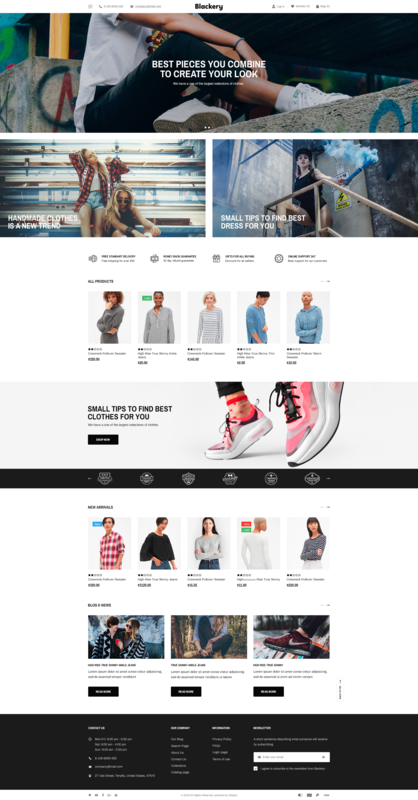 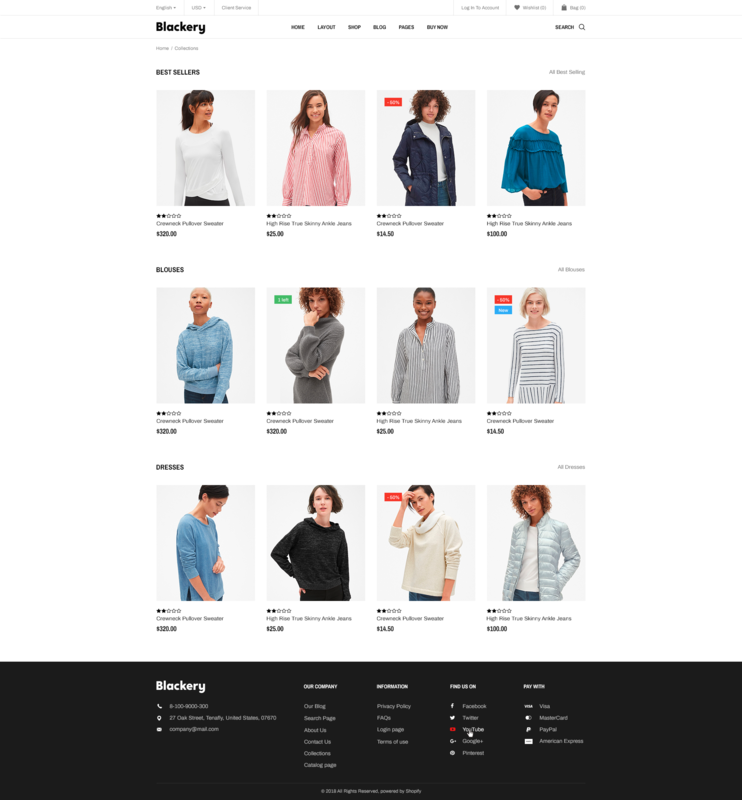 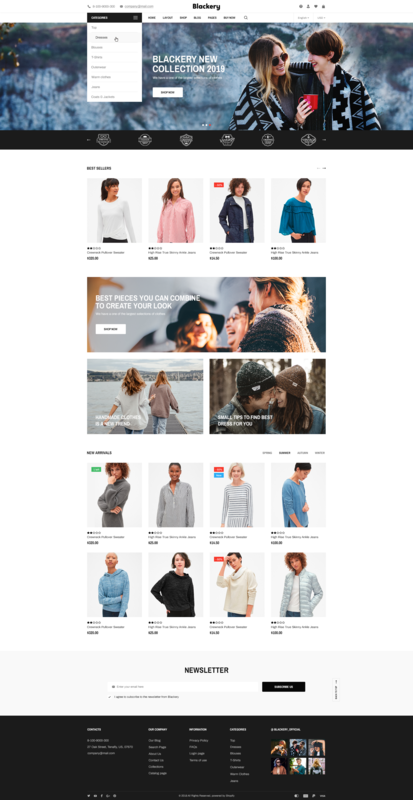 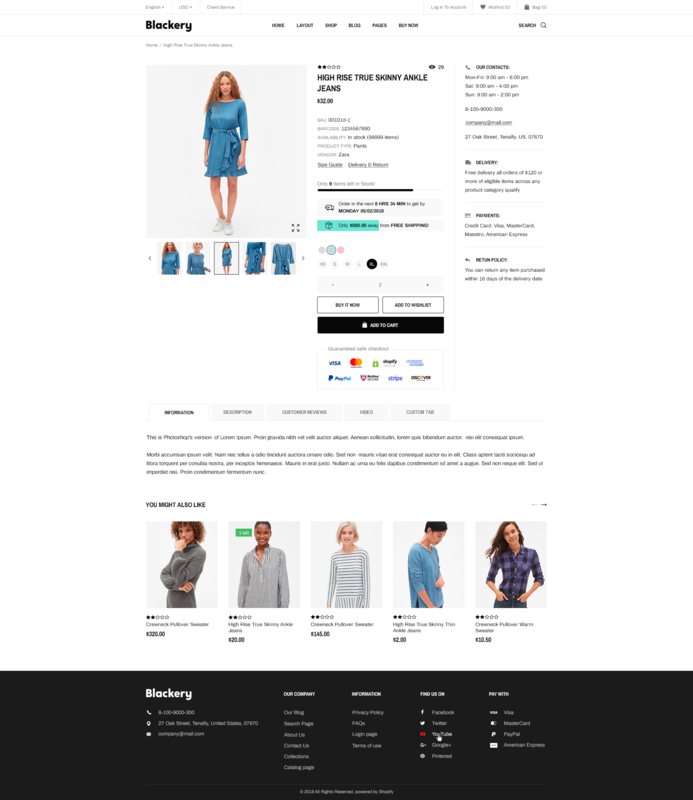 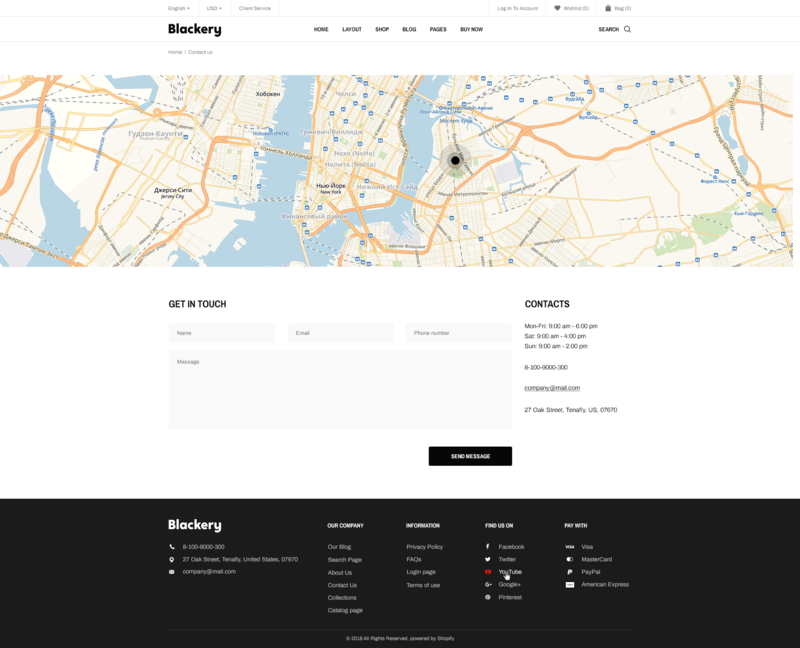 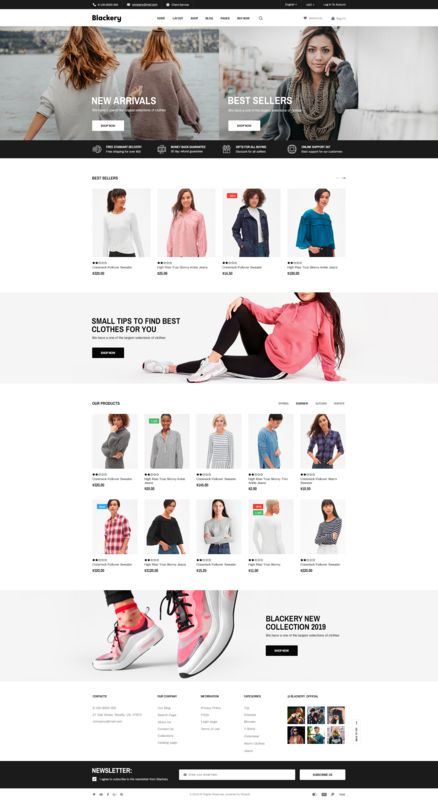 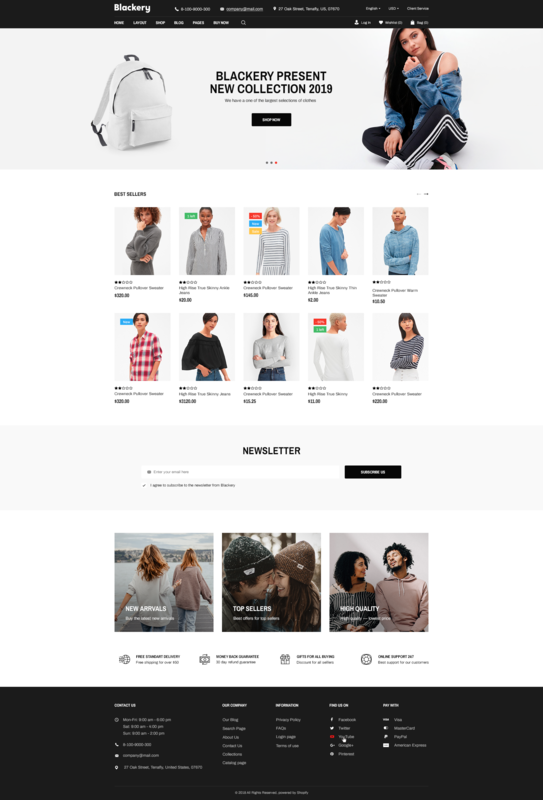 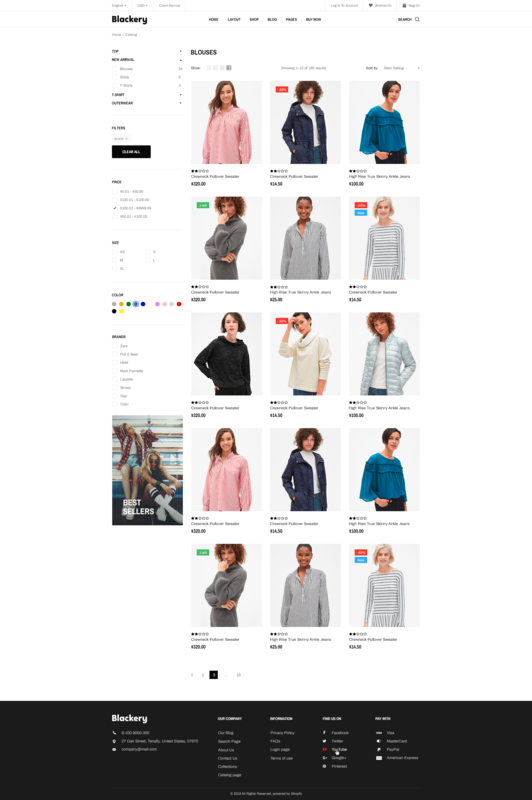 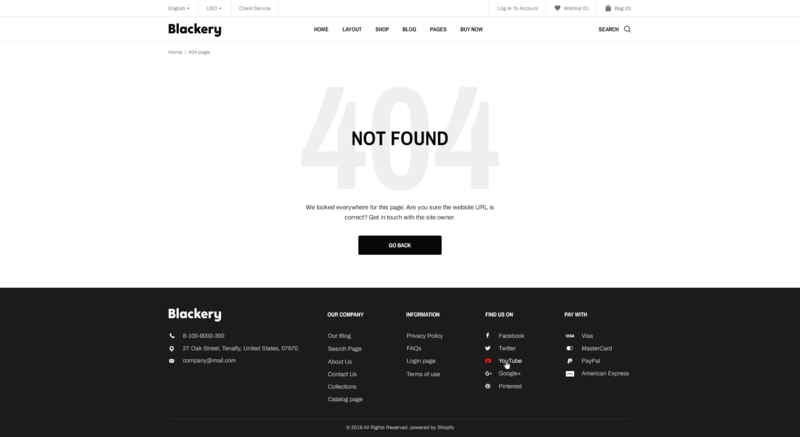 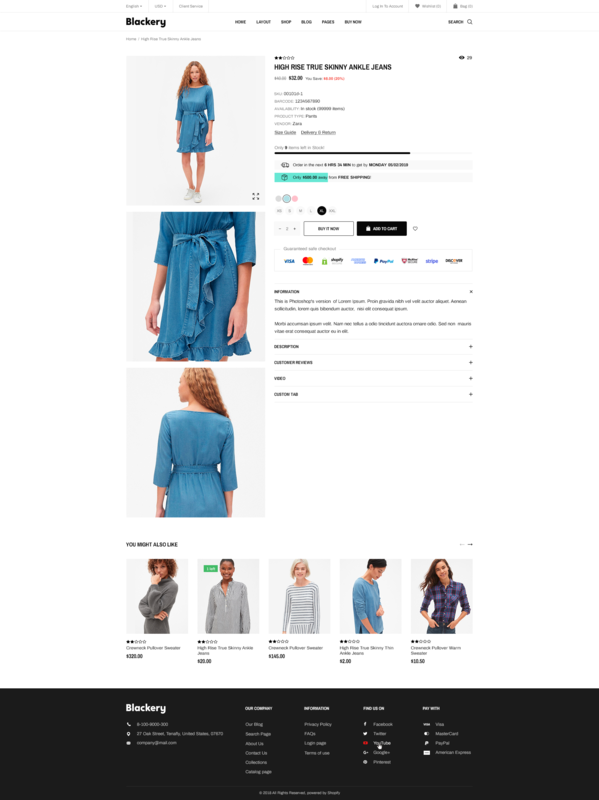 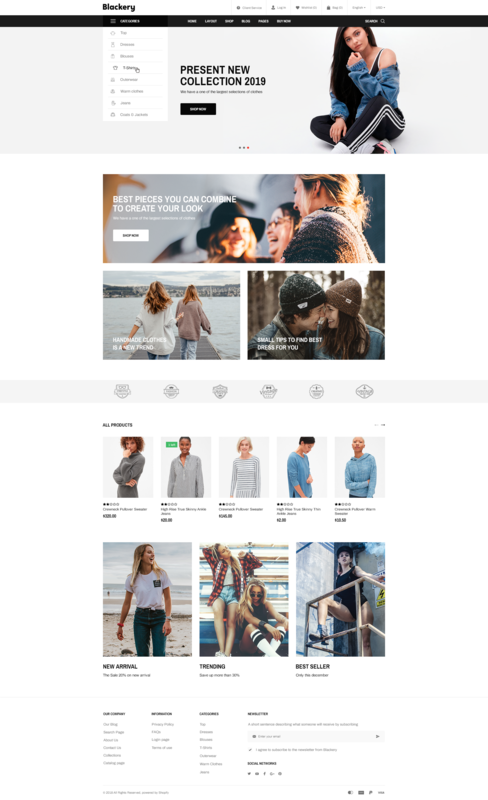 The Blackery is a eCommerce PSD template which will excellently suit for online stores selling fashion apparel, shoes and accessories. 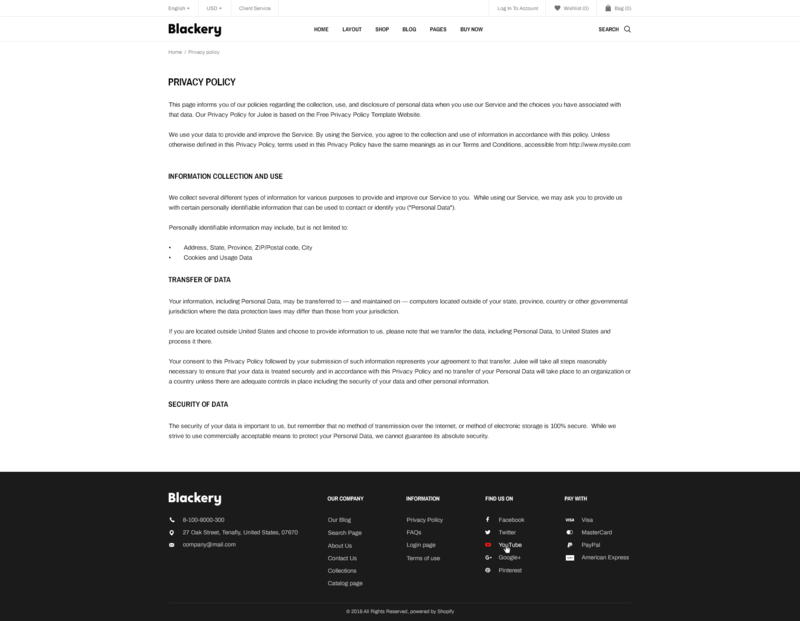 PSD is user-friendly and fine-looking. 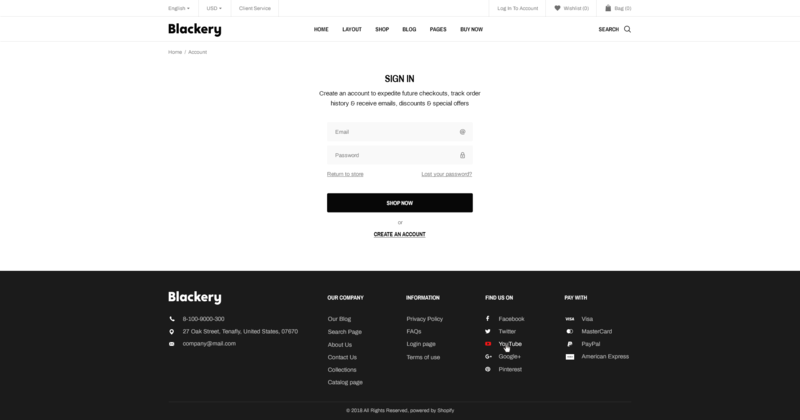 Template contains a lot of customization options and features. 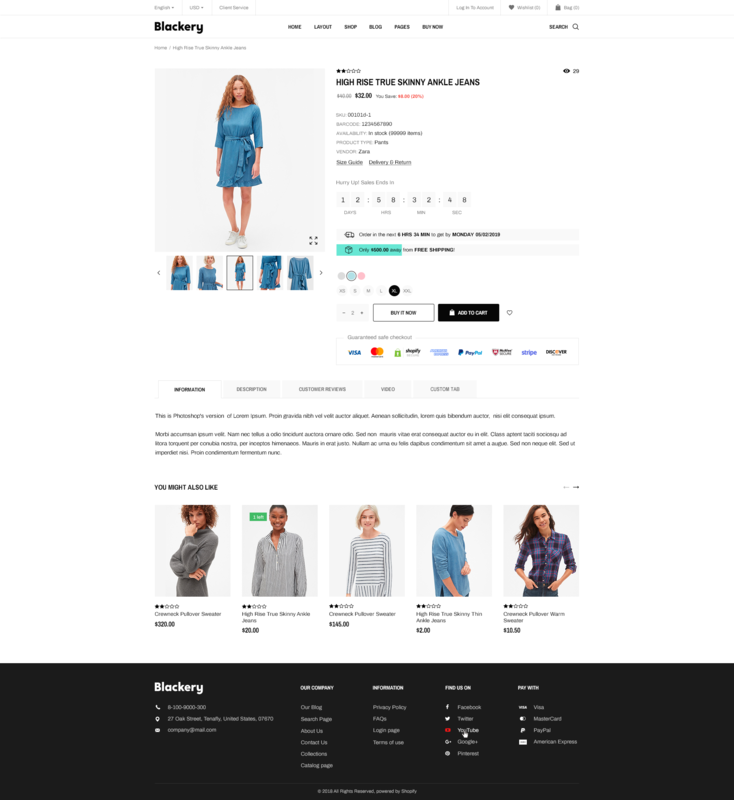 It will be the best solution for your business! 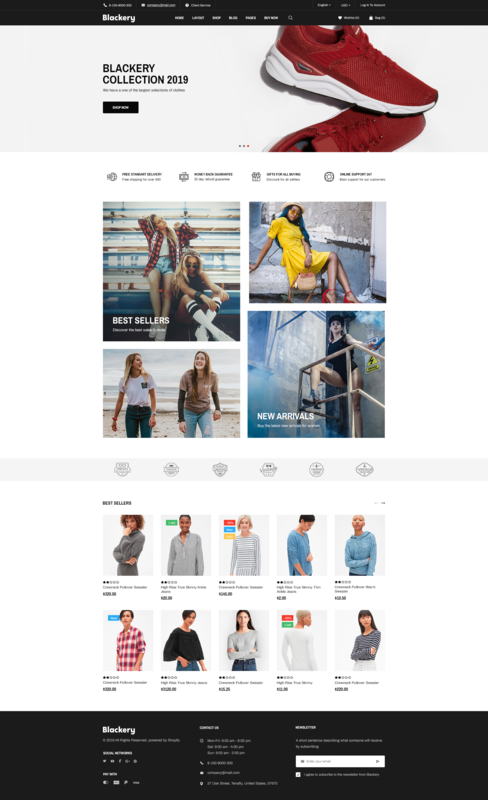 All pictures used for the presentation of models were taken from the Image bank www.shutterstock.com? 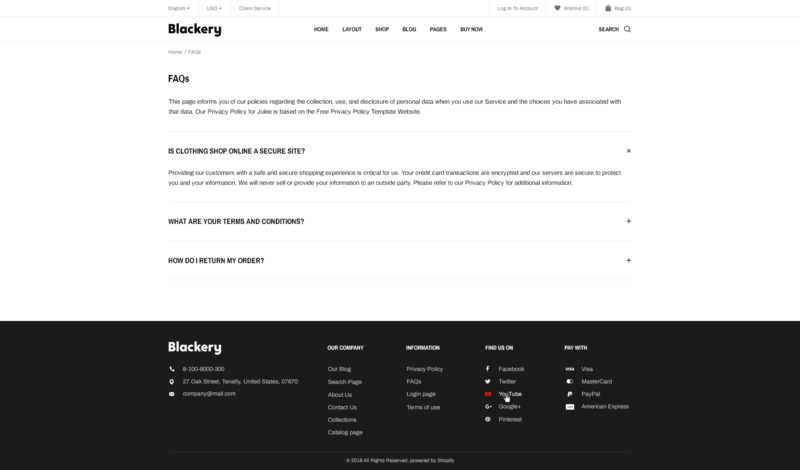 for demonstration purposes and are not included in the original layout.